Butler, Party of 4: Confused about what vitamins to take? Try this website. It's a Vitamin Advisor. 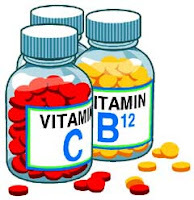 You answer several questions about your health, diet, lifestyle, family history, and medications and it will tell you the vitamins you should be taking. You know I think vitamins are so essential, and they make me feel so much better that I just don't get people's excuses for not taking them! Most of us do not eat a diet that meets our vitamin & nutrient needs (even if you eat healthy! ), so taking supplements is a great way to ensure your body has the fuel it needs to be the most productive.